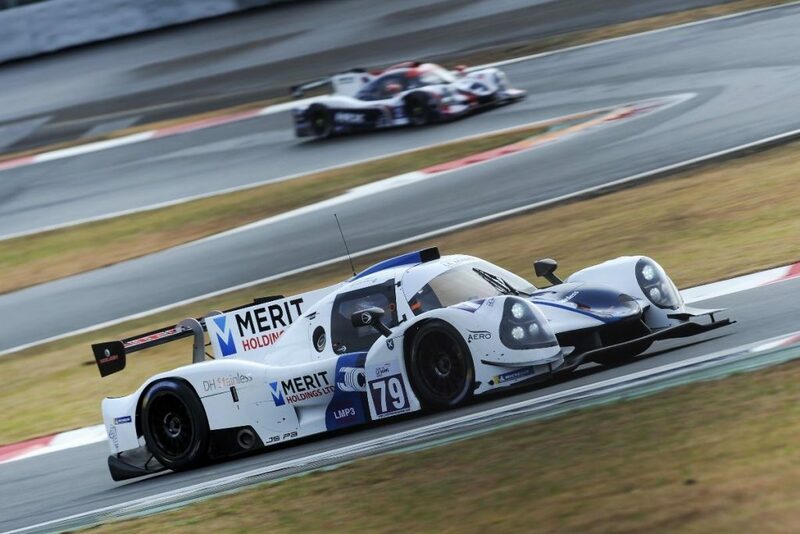 Scottish Rising Star Colin Noble scored his first podium finish in the Asian Le Mans Series alongside teammate and fellow 2018 UK LMP3 Champion Tony Wells, at the Fuji Speedway in Japan in early December. It would be a first start at the previous home of the Japanese Formula One Grand Prix since 1986 for Ecurie Ecosse, a race which earned the team a dramatic class win in the 1000km World Sports Car Championship Race. The pair, sharing the #79 Ecurie Ecosse / Nielsen Racing Ligier JS P3 Nissan was in the mix all weekend, but were forced to start from the back of the 20-car field after a technical problem in Qualifying. On this occasion, a win would be out of reach – but the podium finish marked a big step forward in the international ambitions for the team and their drivers. Despite every available weather forecast predicting a dry race, rain began to play a part almost from the start, throwing well-practised strategy out of the window in plummeting temperatures, and with snow even threatening for a while in the shadow of Mount Fuji. A strong start from Wells saw the scene set for a strong potential finish, and with Noble taking over the wheel for the second half of the race, it was a charge for points and a podium. Assisted by a late-race safety car for another LMP3 rival losing a wheel and getting stranded on track, and a tactical pit stop, Noble gained a lap on the car he was battling for third, giving him a comfortable margin to work with in the final minutes. He took that battle to the car ahead and brought the #79 car home third, after 133 laps of the 5.4 km circuit. After cold weather races in Shanghai in November and at Fuji, the Asian Le Mans Series has warmer climates ahead with the next round at Buriram in Thailand on 12 January. The series concludes the following month at the Sepang International Circuit in Malaysia.